Great beaches, wonderful village, family friendly restaurants and lodging, plus incredible fields of flowers make Carlsbad a perfect family destination. Did we mention Legoland? Wow! Let's Explore Carlsbad! 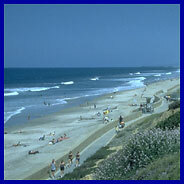 First hand report on what to do, where to stay and where to eat in Carlsbad. Click here. Biplane Adventure: Fly over flower fields, the Pacific Ocean, plus dip in for a view of Legoland. Memories made. Click here. Legoland: What we loved about Legoland. Click here. Legoland: What's New? More exhibits, interactive play and just plain fun. Click here. .
Kidznfun Lodging Review: Carlsbad Inn Beach Resort.. family friendly. Click here.